In what will come across as a really tragic development, a bodybuilder has died in his sleep just days before proposing to his girlfriend. 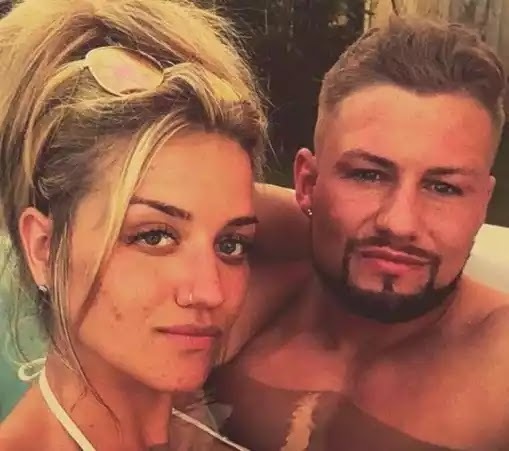 A truly devastated father has told the story of how his ultra-healthy 25-year-old, Sam Standerwick, son died in his sleep just days before he was due to propose to his girlfriend. According to The Sun UK, Sam Standerwick, from Llanddulas in Conwy, north Wales, returned to his hotel following a night out with pals in Liverpool when he fell asleep and didn’t wake up. An inquest has now found that he died of heart failure – despite being a healthy young man – because of a 70% blockage in his coronary artery. Dad Adrian Standerwick, speaking to Wales Online, said: “His heart just didn’t have enough power to keep going and just stopped beating in his sleep. “Did someone inject him with drugs? Was it a brain aneurysm? “He had gone to sleep and just never woken up. An inquest heard that Sam, who worked with his dad, had been suffering from heart palpitations before his death, on December 17. Adrian said: “The night before he was suffering from heart palpitations, something he had been saying about for a little while every now and again. “My wife said to him ‘You need to get checked over. I will book you an appointment at the doctor’s for tomorrow’. “He said ‘I’m out with the lads in Liverpool tomorrow, I will do it next week’. He got ready to go out to Liverpool. The worried family called the hotel, and were told by the manager that police were at the premises because of a serious incident. Cops later arrived at the family’s home to tell them that Sam had passed away. The family then discovered that Sam was planning on proposing to his girlfriend, Kim Fisher, after finding an engagement ring in his possessions. Since Sam’s tragic death, Kim has posted on social media saying that he is her “guardian angel” and that she misses him “more than words can describe”. Adrian added: “It’s not something where you wake up one day and everything is rosy. “I wake up and for a split second I forget. Then I realise I will never see my son again. “It’s become a physical pain, as if someone is punching you really hard in the chest, and you feel that you have to do something or you’ll just curl up and die. The family have now set up the Sam Standerwick Memorial Fund, which has raised £20,000 and hopes to have 200 people screened in February next year for heart problems in north Wales. Sam’s family, including mum Deb and children Simon, Matthew, and Amy, hope that by doing this they can prevent similar deaths.